I try not to use this blog to rant and complain about things, but i think this issue needs to be addressed. "Virgin Mink" hair pages are becoming a huge issue for the natural hair community on instagram. I get about 4-5 of these pages following me a day! 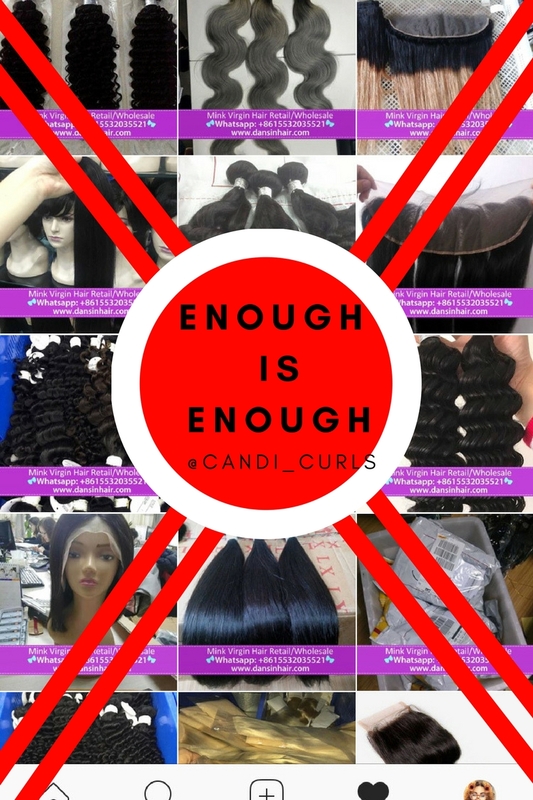 As you can see from the screen shot image above, the purpose of these pages looks like it is to promote the selling of weave. So why follow girls who are clearly all about the natural hair movement? At first i didn't pay any mind to these pages, they were ghost followers but they didn't bug me. However, that soon changed. I downloaded an app called followers from the apple store. This app shows you every person who has followed you, unfollowed you and blocked you. As my page began to grow, it began to be noticeable how my followers were going up and down so fast. I could wake up one day and have gained 10 followers, the next day i could lose 12. I had a look on the app to see who was doing this, and it was clear who it was. The aim of these mink hair pages, is to grow their page. They are no doubt using websites to do so, and as soon as you follow them back, or in my case don't within 2 hours, then they would unfollow you. I have seen that i am not the only person with this issue. Blocking them alone does nothing. It is time the natural community put all our powers together and destroy these pages! Out of the 100 that i have blocked and reported, i have received an email from instagram to let me know that the page has been removed quite a few times, and others have shown the same in their IG story. We need to make sure that we don't just block them, report them too!!! I actually didn't think there was any harm in these pages, so i just blocked them alone. Then i came across a curly girl who had ALOT to say about these pages. What she had found was that a few of them were actually using HER pictures of her NATURAL hair, and using it to advertise a weave! I could not believe it! I have come across a few pages who have used known naturalists as images for this purpose, and the natural community came together to report them and get them shut down. We need to do more of this! Most of the pages are like the one screenshot above, but some of them at first glace look like a page promoting natural hair. Plenty of pictures of girls with curly hair, natural looking hair, long hair, short hair all kinds of textures. Then the caption will give it all away. A few of these pages even have 16k+ followers, which makes them look a little more legit, but they are still spam pages! While most of them will just be ghost followers for a day, some of them try to interact with you by liking your photos and commenting. I know i am not the only one who is being bugged by these pages, and i see so many people complaining about them too. How are they targeting us naturals? My guess is they are using the hashtag to find us. We all use the same hashtags under our photos, #naturalhair #afrohair #curlyhair #kinkyhair etc are just a few which i have noticed we have in common. The more pictures you post using these #'s, the more of these pages follow you. My guess is that most of these pages, are not even being ran by an actual person. There is no way a page like the one above can have 100k followers, be following 6 people and all the photos are the same. This rolls into another huge problem on instagram of bots. "There's a huge bot problem on Instagram," Says Evan Asano, CEO of Influencer marketing agency Mediakix. "Through Instagress and other bots, you can set it to Like, Comment, and follow people who post images around certain hastags etc. The idea being that if you like peoples photos, they'll come back and check your profile and might follow you back." While instagram has done a clear out in the past and gotten rid of so many spam pages and bots, i think its clear that another one is due. If you don't have one of these apps which tracks who unfollows you, you probably won't even notice as much. For me however, i am trying to grow my page and be out there in the natural hair community, and it is a shame that my page is suffering due to these bots. So often i am tempted to make my page private just to stop them, but why should i have to change my page for them. Let us keep on reporting them, supporting each other and getting these pages shut down!!! Who else has had experience with these pages? 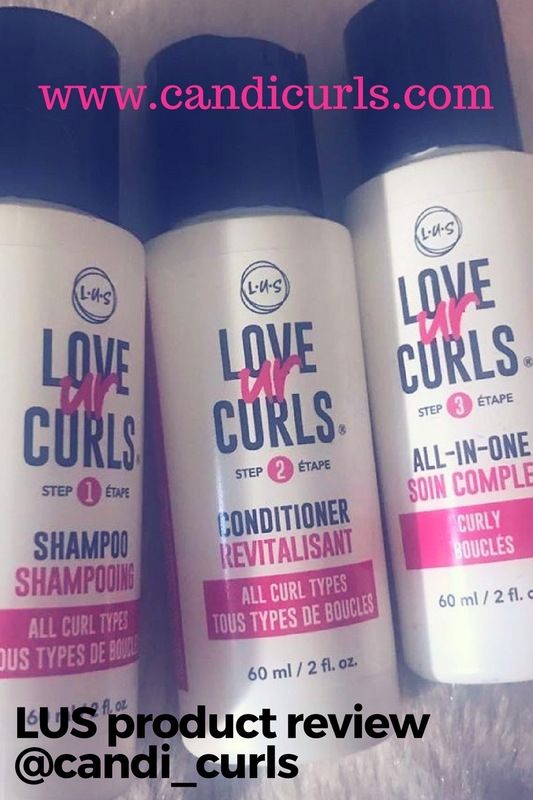 Anyone else found photos of known naturals or even themselves being used on these pages?